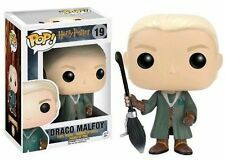 Rare Harry Potter Funko Pocket POP! Christmas Advent Calendar 24 Vinyl Figures! ============= ABOUT THIS ITEM ============= Comes with original box. From a smoke-free, pet-free home and in good condition. Please see pictures for details. All minis are new and have only been removed from the box to identify and photograph. ================== POSTAGE AND PACKING ================== All minis, even loose items are sent boxed. I never use Jiffy Bags. Orders of multiple items will be sent via recorded delivery. International shipping via the Global Shipping Programme. For combined International orders please contact me prior to making a purchase. Professor Quirrell Harry Potter NYCC Exclusive #68 Funko Pop. Condition is Used. Has been displayed out of box Dispatched with Royal Mail 2nd Class signed for Thanks for looking, check out my other items. 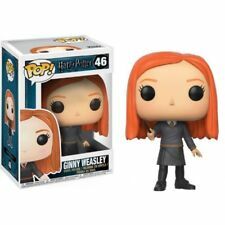 Funko Pop Harry Potter Mystery Mini Series 3 X6. Condition is new however opened and then stored away as duplicate ones already had them. Funko Pop! Fantastic beasts and where to find them Newt Scamander & Picket Hot Topic Exclusive. Ginny Fred & George Funko Pop! A must have for all Harry Potter Fans. Contents: 1 x Harry Potter, 1 x Ron Weasley, 1 x Hermione Granger, 1 x Albus Dumbledore and 1 x Minerva McGonagall. 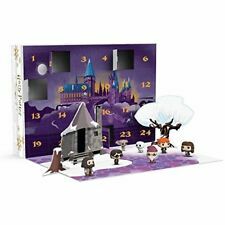 Brand: FunkoCharacter: Harry PotterSize: 5"
Harry Potter Advent Calendar made by Funko Pocket Pop! 24 Vinyl Figures. Brand new in box. Thanks for looking. Funko Pop! Fantastic beasts and where to find them Niffler With Gold coin purse. Funko Pop! Fantastic beasts and where to find them Niffler With red coin purse. Wearing their protective earmuffs, the trio are on the path tore-potting the screaming plants. hassle free. 3 Points of Articulation. Harry Potter Funko Pop Hot Topic Exclusive Harry With Sword . Condition is New. Dispatched with Royal Mail 2nd Class. 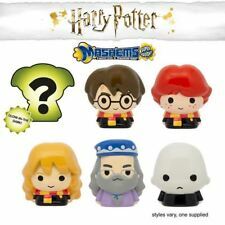 Put a Funko spin on Harry's second year at Hogwarts in Harry Potter and the Chamber of Secrets. 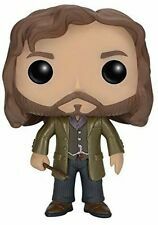 This Nearly Headless Nick Pop! We will arrange the pickup of the item. Take photo of outside, inside and contents of the box. Funko POP! 5 Star: Harry Potter: Dumbledore - NEW!! Collection station availableBrand: FunkoCharacter: Pop StarSize: 5"
Harry Potter Boggart As Snape #52 NYCC 2017 Funko Pop Vinyl. Condition is New. Dispatched with Royal Mail Signed For® 2nd Class. FUNKO POPS. 4 PACK WALL DISPLAYS. HARRY POTTER. MARVEL. TWD. GOT. MYSTERY MINIS. 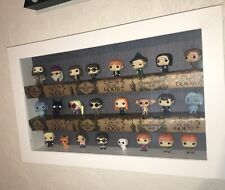 ***THE BEST WAY TO DISPLAY FUNKO*** These are brillaint ways to display your funko in any shape or pattern you can imagine!! Self adhesive strips on the back allow up to 2kg per piece. Not really designed to be moved after placing so please plan accordingly. The price is for.. X3 10cm x 10cm piece and x1 20cm x 10cm piece. FOR A DISCOUNT ON MULTIBUYS AND COMBINED POSTAGE VISIT... FUNKOPOPDISPLAYS.COM IF YOU LIKE THESE BUT WOULD PREFER A DIFFERENT COLOUR PLEASE MESSAGE. I CAN DO ALMOST ANY COLOUR. Please attach on a clean flat surface. Any questions please ask. For custom work please visit Funkopopdisplays.com Funkos not included. Funko Pop! Movies: Harry Potter Ron Weasley Action Figure. Condition is Used. Dispatched with Royal Mail 2nd Class. Funko Pop 6561 Harry Potter Dobby Action Figure Standard. Condition is New. Dispatched with Royal Mail Signed For® 2nd Class. FUNKO MYSTERY MINI HARRY POTTER SERIES 1 - RUBEUS HAGRID VINYL FIGURE. Condition is Used. Dispatched with Royal Mail 2nd Class. From a smoke-free, pet-free home and in good condition. Please see pictures for details. From my personal collection, bid with confidence. Combined postage available for UK addresses. Please message me for an invoice once the auctions have completed. I only charge the price it costs to actually post the items. International shipping via the Global Shipping Programme, I have no control over the postage charge for orders outside the UK. Funko POP! Rock Candy: Harry Potter: Luna Lovegood - NEW!! Funko POP! Rock Candy: Harry Potter: Luna Lovegood - NEW! 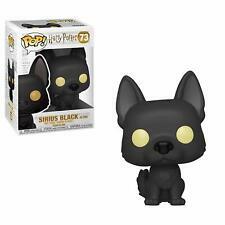 No Pop of Sirius Black but rest of the items are present, all brand new in great condition and will include box. 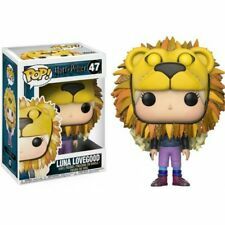 Luna Lovegood from Harry Potter Funko! It has been on display but is in great condition. Funko Pop No. 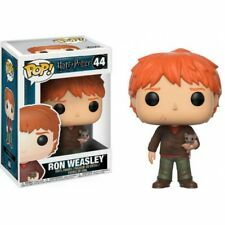 82 - Harry Potter - Ron riding Chess Piece Vinyl Figure. Never removed from the box, which still had a layer of protective film around the front to protect the casing. Box is still sealed. Quite a large item so unable to send this as a small package unfortunately. 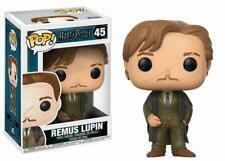 Really nice pop, perfect for Potter collectors. 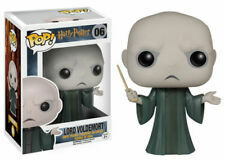 Lord Voldemort Funko Pop Vinyl Figure #06 Harry Potter. Condition is Used. Dispatched with Royal Mail 2nd Class.